i think Sneeze still using 70-200 f/2.8 with a 2x? nicc pic bro! amazing shots sneeze!! next time i shud come in june yah! see you in KUL bro! No new lens, Still that white lens with the 2x as the time you met me in HKG last time. and also filter changed to a thinner one. Anyway, where you got those data? You check from the photo? I have already uploaded twice, bad receiving bad contrast, I guess I still need some tries there. Good memory Bro. And thanks as you my "die hard"
Thanks again. Azuddin, but I think this shot is a bit over exposed. Thanks Azahan. I guess the best time to come would be September and early October. A bit less hot and better sunlight near the evening. Anyway, thanks all you guys for the appreciations. Bad Qly pic from HKG is back to say hello to you guys. Yet still no improvement here, so bad quality keeps going. I don't know why, but I guess I have to solve the problem. Anyway, let me share the highlights of today with you guys, and hope you guys love them. 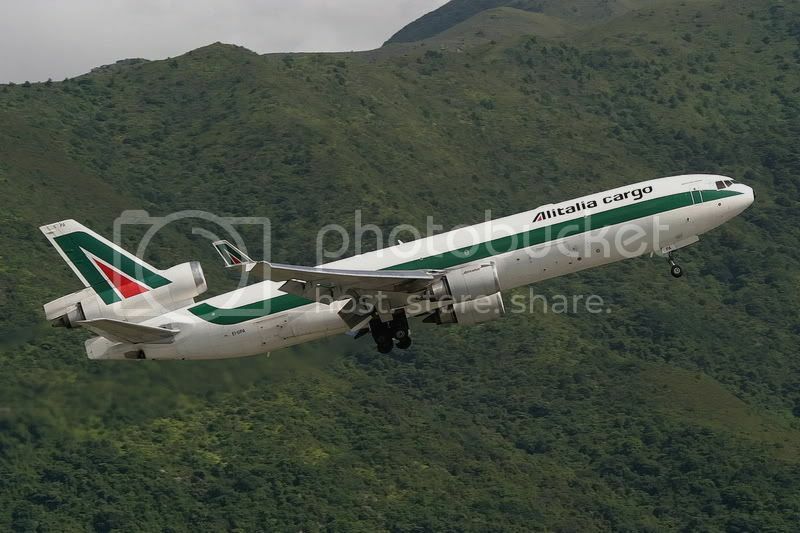 Alitalia Cargo MD11F was departed in the afternoon, due to delay arrival. 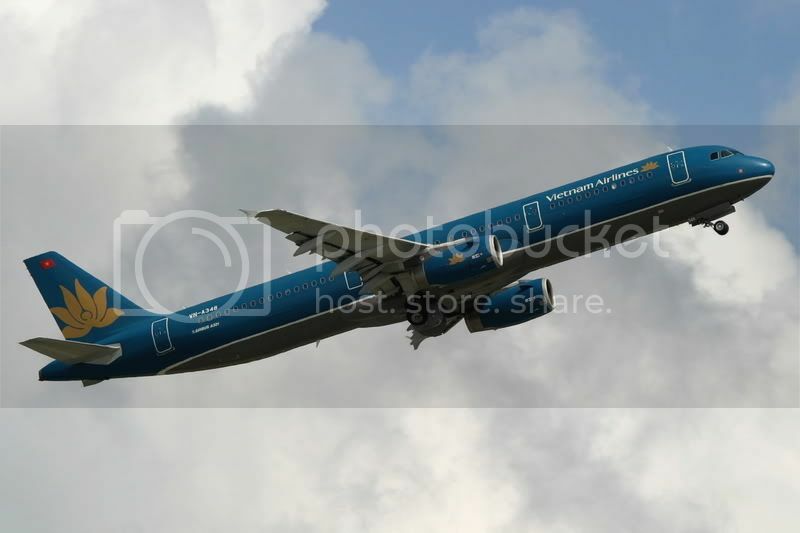 Normal painted A321 of this Vietnamese, nothing special, but the fine nice weather made she looks pretty. Try to have some shots following T.Azahan, the expert of head shots, I made this as a result. 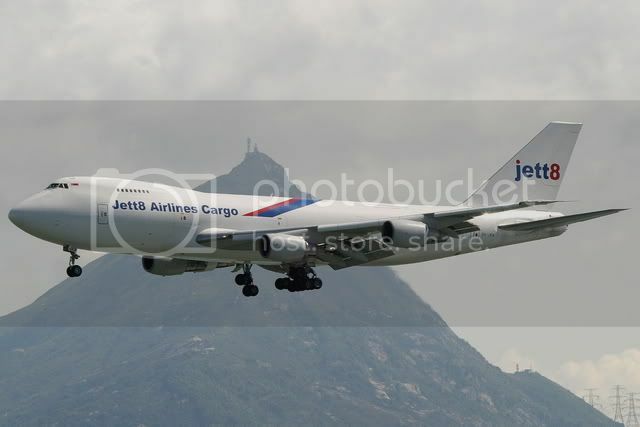 It is one of the ex-SIA B744, which has been converted as a freighter. Third day service to HKG, love so much the livery, not me but those many thousands of HK girls. 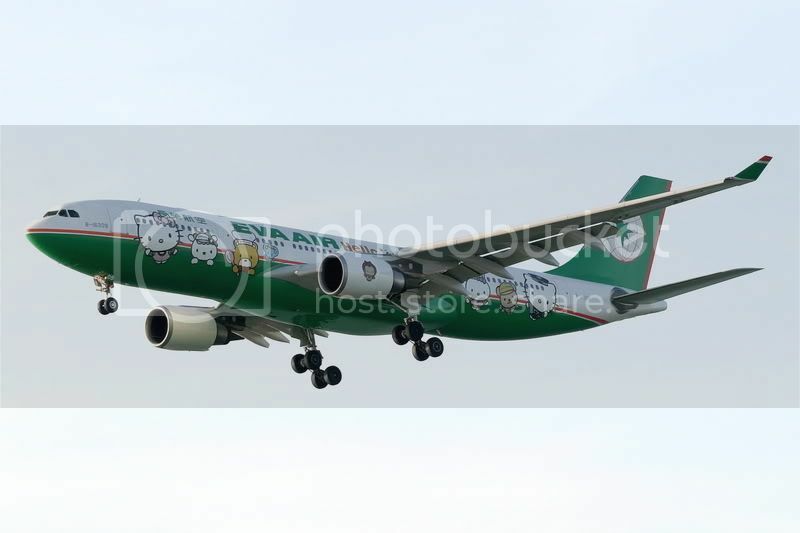 Anyway, it is a pattern painted aircraft, no way to miss it for shots. Wow, simply amazing Sneeze! 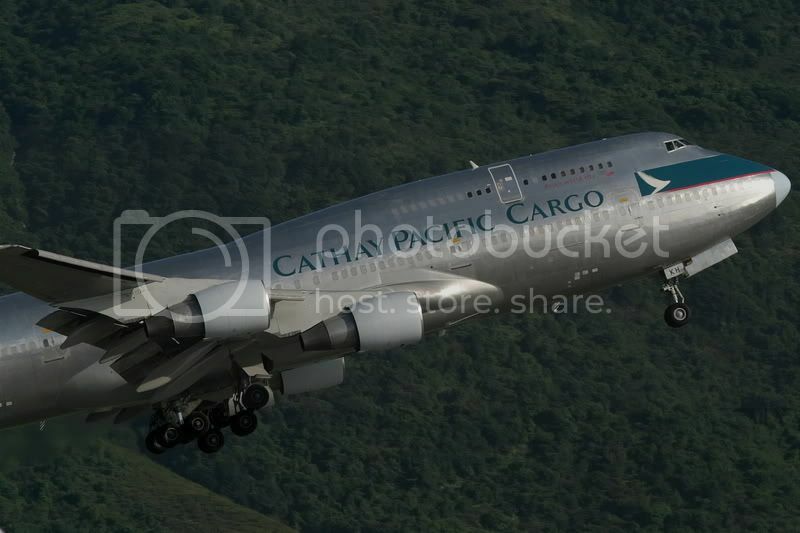 U can't get CO777 with beautiful greeny enviroment anywhere except HKG!!!! Edited by Seth K, 08 July 2007 - 02:35 AM. Haha, Thanks Seth, I can't promise for such a "battle", have to see what job I will be offered. 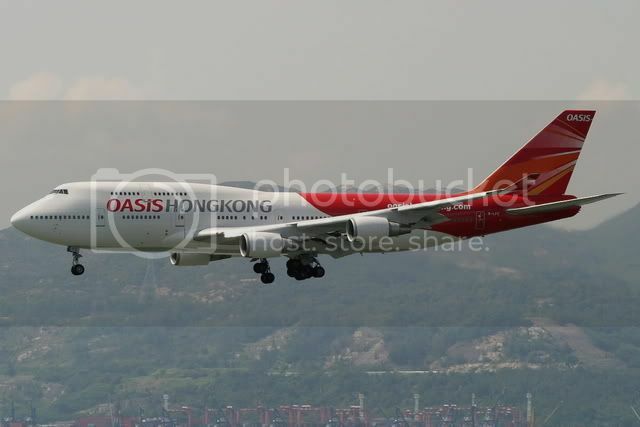 Anyway, nice to know you will be transiting in HKIA again. Sneeze the CX Freighter is just AWESOME !!!! Kenneth, I have suggested such an idea when I took part in the MW 2nd Anniversary. So, members, be ready, save up your pocket money. 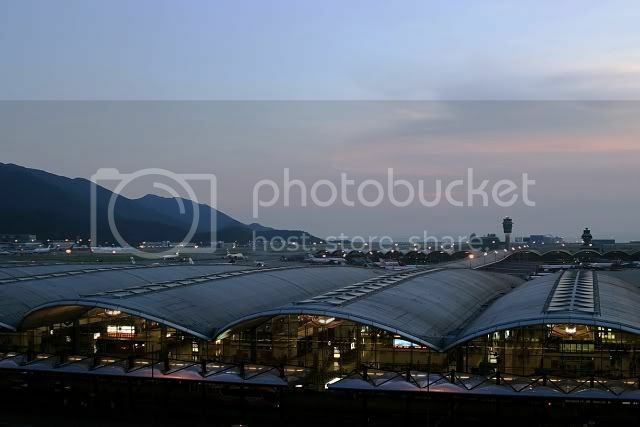 I have just been to HKIA for the previous 2 days. Just discovered that the SkyDeck (aka Observation Deck) on Tower North, T2 has been opened along with the Aviation Discovery Centre. Admission fee is just HKD$10, open everyday from 1000 to 2200. The Deck is really just a deck with a few 30x binoculars, it is free to use. No toilet, no water/drinks and even food for sale, but you are allowed to prepare for yourself and bring up there. In urgent, you may ask those staffs on the deck for help to get food and drinks. For further information, please feel free to ask here. Taken upon the deck, the latest member of Oasis HK. Cause I have to accompany with my friend coming from CAN, China, so I was on the deck again on 12/Jul. 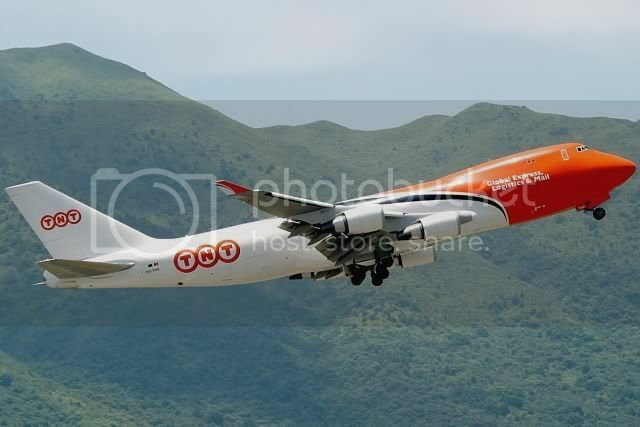 However, when we reach the airport, we discovered that a TNT was parking at the cargo ramp for the noon departure, so we decided to go to the shore near the hangar to nail that. After our lunch, we was heading all the way to T2 for the SkyDeck. Needless to mention much, just view on the photos, and you will feel how great the deck is. Hurry for dinner, please feel free to ask. Nice pictures! Good to hear of the new Observation Deck. Need more details. 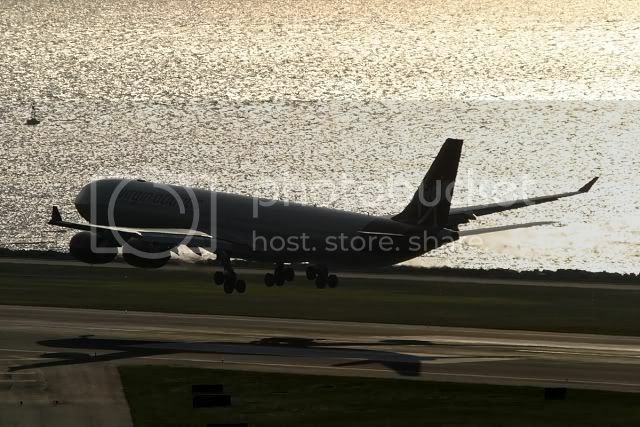 What is a suitable lens for runway shots? From the pictures, it seems that it is good for the morning. Confirm?? im thinking of applying leave/holiday for Hong kong in winter...is it a good time?? Morning can be a nice try, but nose will be dark. I will try for you tomorrow, so I will share you some shots after that. I guess it will be good for late summer afternoon, as the sun will set a bit south bound. For runway shot? the VS touchdown one I was using 200mm + 2x + 1.6 crop factor + a little bit editing crop. 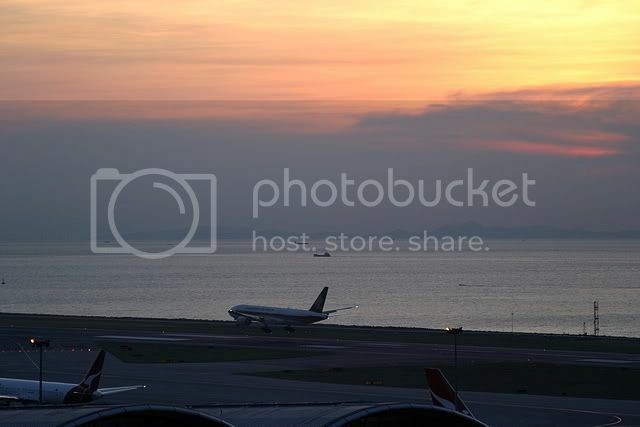 South runway, the runway near Cathay City, see the touchdown of the MD11F of Eva Cargo. 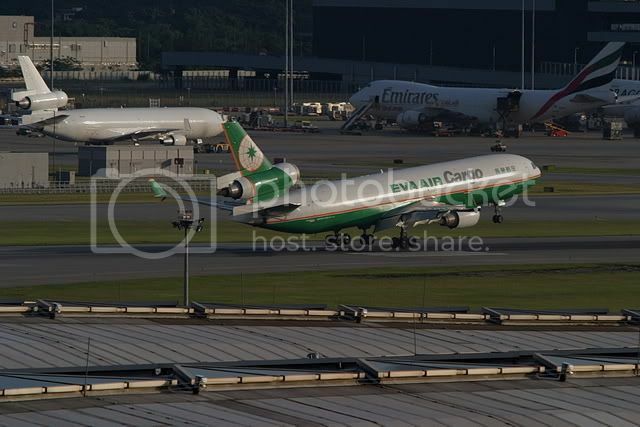 See the NZ B744? It was on holding Juilet 5 holding point. Since I was at the right corner of the building, i.e. near RWY25R/07L, so the angle may not be that excellent. I may try some shots tomorrow and share again. Hope this additional photos can help you guys know more about the environment. For winter, it is always not a good time to be in Hong Kong, as for the North wind, especially the Northwest wind, in my last year's experience. Northwest winds were always the worst day against spottors for going to spot. Anyway, back to the topic, since we still haven't experienced the RWY07 take off days with the SkyDeck, so I can't tell if the deck is good for the most-in-use-winter-runway RWY07. However, with the serious of the global warming, the days with RWY25 was even last occasionally till November last year. Everything can happen, no one knows. 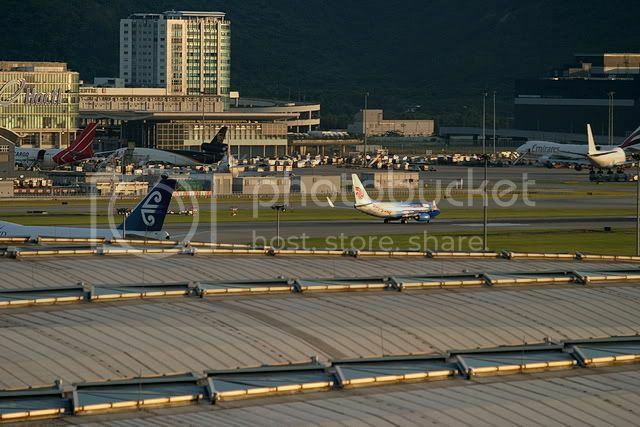 If RWY07 is in use, Sha Lo Wan, that is the as known Spot 10 in MWs, will definately the best place for the line up shots, enhancing with some cargo approaching/landing. I will keep reporting with you guys with the SkyDeck's best/ worst and the facilities updates. Sneeze Tai Kor, is this SQ 892 on Wednesday 11/07/2007? Edited by LeeCH, 14 July 2007 - 12:36 AM.